A blended scotch whisky has swept aside all single malt rivals to take the prestigious Jim Murray’s Whisky Bible Award for 2011. 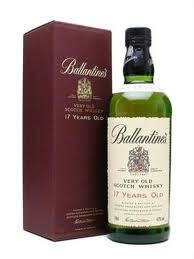 Ballantine’s 17-year-old has topped all other whiskies in this year’s publication, which includes 4,500 different brands – of which over 1,000 new entries were tasted by Jim Murray in six months. Single malt scotch, often preferred by whisky lovers, failed also to take either the runner’s up or third spot. Second place went to Thomas H Handy Sazerac Rye (129 proof) ahead of William Larue Weller (134.8 proof), both from the same distillery: Buffalo Trace.